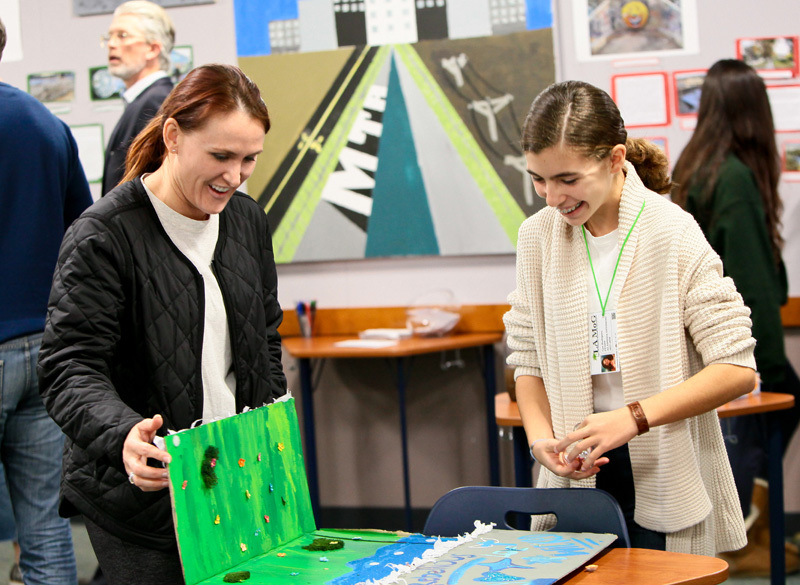 On the evening of December 5, Prep’s 7th grade class hosted families and friends in a celebration of the opening of their pop-up museum, the LA Museum of Geography. The students of Will Bellaimey’s simulation-driven course were tasked with planning, curating, building and setting up the museum, as well as managing the event from start to finish. The final product took up three of Prep’s history classrooms, operated by 7th grade docents from each of Mr. Bellaimey’s class sections. Topics included the LA River, LA Aqueduct and California’s historic drought. Photos, facts and timelines tracing the impact of each of the subjects throughout LA’s history lined the walls. Desks were moved to make way for interactive exhibits, which included a build-your-own aqueduct station, soil samples from during and after a drought, models of the current LA River as well as proposed renovations, and a display of water retention beads used for plants. There was even a student-staffed refreshments booth outside. "The museum is a lot of work behind the scenes, for both me and the staff,” Bellaimey said. 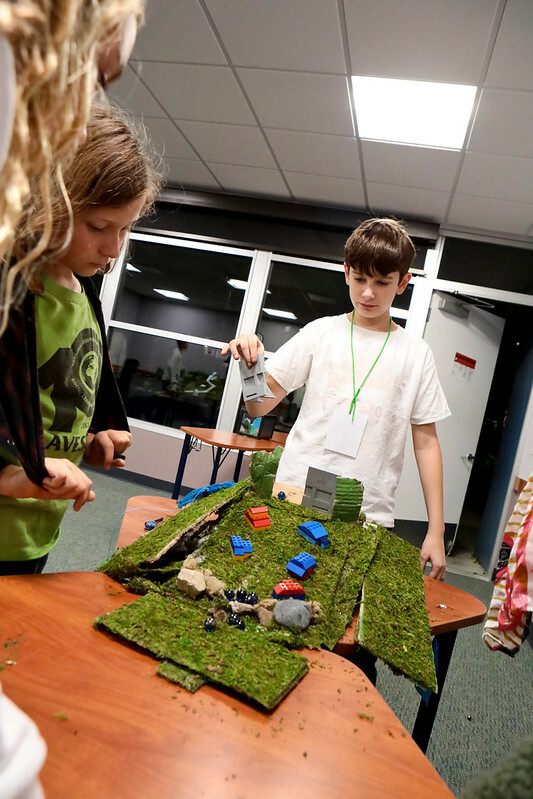 “But it was all worth it to see the seventh graders acting as expert docents, explaining what they had learned to parents, teachers, and members of the community. The idea of the LAMoG is for students to feel that the work we do in class has a real purpose, and that they can be proud of both their individual contributions to the museum and the collective expertise that we all share."